This tour lets you exercise your legs while taking in beautiful views of the French Quarter. 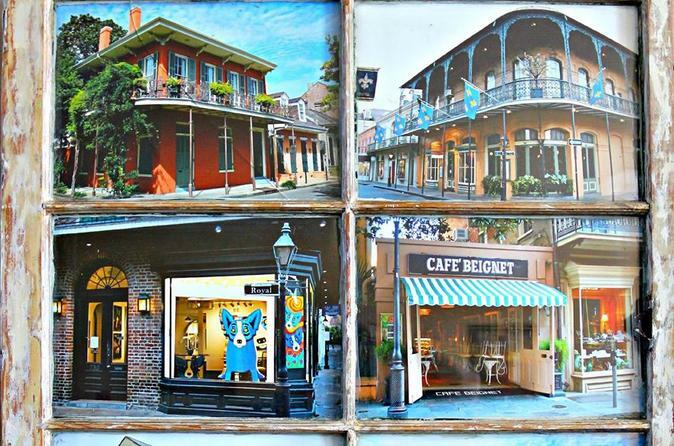 Experience the sights, sounds, and culture of New Orleans on this wonderful walking tour. You will hear stories about New Orleans ghosts, voodoo, and vampires. Guests will be allowed to stop in any bars along the tour route to purchase drinks. This walking tour allows you to feel what it is like to be a New Orleans local. Start by meeting your guide in the French Quarter (Vieux Carre), with its lavish 18th- and 19th-century architecture, making it one of the most iconic places in the United States. Experience the rich vibe of the area, a National Historic Landmark District, as you explore on foot. You are allowed to stop in at any of the bars during the tour to buy a drink in a to-go cup to carry with you on the tour (own expense). As your guide leads you through these streets, you will be transported back in time with stories and facts about the area's history. Learn about the past while experiencing modern-day NOLA life. Some of the sights you will see on the tour include more than 15 locations, such as the Cabildo, St. Louis Cathedral, Jackson Square, and the Lalaurie Mansion. This tour also explores Louisiana's complex culture, rich history, and allows you to experience the magical mystery that makes New Orleans so irresistible. Notice the beautiful architecture throughout the French Quarter, and see where Hollywood stars have decided to call the French Quarter home. Do you know what pirates, prostitutes, and felons all have in common with the founding of New Orleans? Or why locals walk to Jackson Square when it rains? Come find out on this history-packed tour that also explores the dark side of the city's history, visiting multiple locations of unsolved murders and suicides. Hear stories of documented reports of vampires and ghosts roaming the streets of the French Quarter, and visit a property owned by Marie Laveau, the Voodoo Queen. Learn about the practice of voodoo, past and present, in New Orleans. With its rich history, countless unsolved mysteries, and some strong paranormal activity, it's no surprise that New Orleans is referred to as one of the most haunted cities in the United States. Bring along the entire family to experience this amazing cultural hub for your Louisiana getaway. A real EMF meter — a ghost/paranormal detector — will be used during this tour.